In an era of increasingly sophisticated smartphones, the excitement of users is largely with new apps. But one of the applications that should be in 100% of the devices and that is nothing new are antivirus. 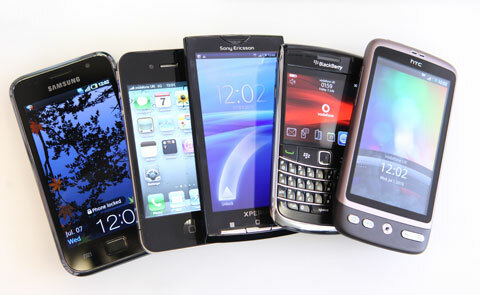 They avoid any problems with infected files and mostly can help in tracking the smartphone in case of loss or theft. To try and track lost phone is not an easy task. “Some antivirus apps help in tracking of lost or stolen phones, much more than a virus problem,” says a cell phone technician, Santos Garcia. Still on the problems with viruses, Garcia points out that many problems happen, but sometimes one has problem and formats alone and ready. “Looking to make tracing is more frequent for sure, but nowadays many devices, Android promise to come with the tracker itself, but they are not effective. Iphones comes with a proprietary system that is even more effective, “explains Douglas. According to the technical, women are more careful and install antivirus. Felipe Barro, an advertising rep, went without his smartphone for almost two days and came to think that had been stolen. But he remembered that he had antivirus installed on the device. “When I searched the tracker, I found that he had fallen down from my office closet,” says Barro. Many cases that the police research have been solved thanks to the trackers. “A girl had her phone stolen and the guy just took it on a tour the city. After the tracker was turned on, it appeared where it was. The police went to the location and managed to arrest the thief. Recently, a gang of three men was caught red-handed in NYC, when a suspect stole a mobile phone with tracker. According to the police report, a young woman had stolen the phone and called the police, when the military arrived, the victim told the device could be tracked. The technology led police to a house where they were bandits. Previous How to Take Care of Your Horse During Summer?